I believe that the Kennedy Space Center Experience is an experience that will not only mesmerize your kids, but you as well. Traveling as a family poses one of the biggest challenges of all, in fact traveling as a family is not easy at all, just ask any mom and dad out there and you will get the naked truth. Complaints about where you might be headed, where you are going to eat all are the kill joy and then of course the decisions that NO one can agree on. 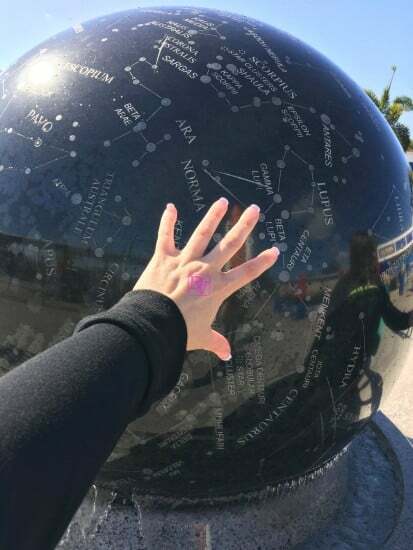 I planned out our travel time in Central Florida around the kids, and how to keep them moving, learning and enjoying so that the list of complaints might not be the buzz kill that my husband and I had no intention of fielding. 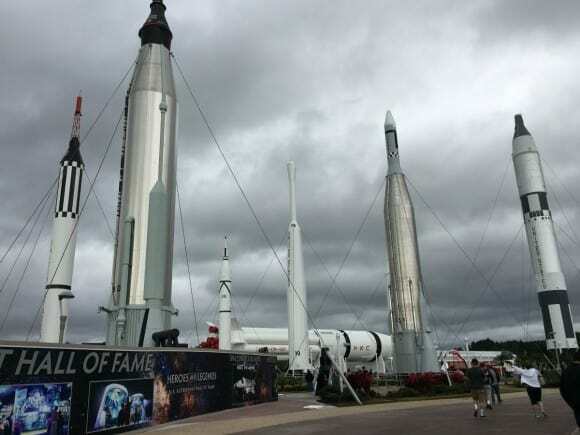 The Kennedy Space Center Experience offers up interactive exhibits, an awesome Shuttle Launch Experience and plenty of history all over while demonstrating how tech savvy NASA is! 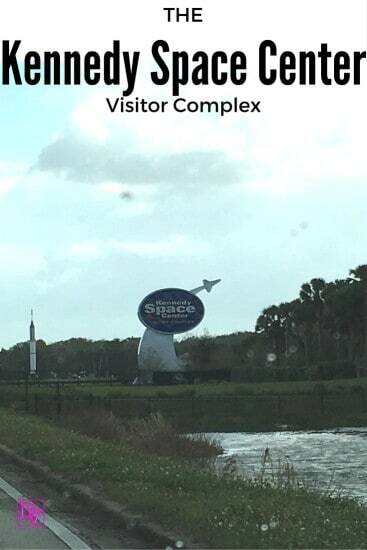 That rarely seen thing called a smile on a teen was something we experienced while visiting the Kennedy Space Center Visitor Complex, in fact, we were led around by the kids! Lavishly live family travel out loud and see what we have found at the Kenned Space Center. My suggestion is one that could make or break your day, it is called Plan Ahead. I went online and checked out all the Kennedy Space Center Experiences we could take part in and then made a list of what to do. Then I broke it down into time spent there and the hours that the Kennedy Space Center was open. Yes, you all know I am totally Type A but just follow along. I read a lot online and heard that the Kennedy Space Center Experience you don’t want to miss under any circumstances was the Shuttle Launch Experience, so that was the beginning of our plan. Yes I totally agree it was a MUST DO, I just wish I would have ‘Must Done It’ at the end of our Kennedy Space Center Experience because we ended up not being able to get to the Apollo/Saturn V Center due to time constraints. There was NO LINE at all or no wait to get onto the Shuttle Launch Experience (remember I am here in January) so we got right on, and we walked all through the Space Shuttle Atlantis exhibits, taking it all in because the kids were LOVING learning all about the Atlantis. See a bit of our Kennedy Space Center Experience Here on my video overview. I don’t admit my mistakes easily trust me. By the time we got out of there, the lines (which were non-existent in the Space Shuttle Atlantis Experience) greeted us at the bus boarding station. We stood in line for over 30 minutes to get onto a bus, which was going to be a 2 1/2 hour time frame tour. We did not understand (due to my misreading) that the bus ride takes 40 minute for the ride over due to one stop along the way and the road that they use, and then it is only 15 minutes to come back, plus any time you choose to spend on a self-guided tour while at the last stop. HOWEVER, the 3:15 bus that was going was only 15 minutes over and of course only 15 minutes back. I had thought that the buses departed each area every 15 minutes. Bad on me. I am kicking myself for not completing the full Kennedy Space Center Experience, trust me. We could not wait for that time so we did not go. While we had planned the day we had not planned a long enough time for the rides on the bus. Our loss was not getting to see the Apollo/Saturn V Center because we listened to someone else’s advice of how to plan our day. Next time it is bus tour first- yes I did say next time because we fully intend to go back and see the rest and experience it all over again. Plan to spend the ENTIRE day at the Kennedy Space Center because you absorb into the natural history without even trying to. The Kennedy Space Center is amazing and I am not at all about science, it was my worst subject, but it is so intriguing to learn and see how long it took to build these shuttles and learn about success and failure. Just sitting outside we turned around to find the Constellation Ball which of course we took turns trying to move, it was so cool. The exhibits really bring more to the table as more information is offered and just by reading you begin to understand. The whole experience is surreal. I do think the moment that took my breathe away was the moment we watched an informative piece on Atlantis and then the curtain opened and behind it was ATLANTIS, in all its glory, leaving you Jaw-Dropped. What we learned about at the Kennedy Space Center Visitor’s Complex provided a wealth of new knowledge and a further appreciation for all the work NASA does. We knew it as awesome already but the amount of planning, decisions, and reasoning that goes into EVERY step of every shuttle, and rocket is just beyond imaginable. Really, what we learned about was never taught to us at school, and not on any media broadcasts so it was all new information. It is what craving minds want to know. Not one frown was seen today, loads of photos were taken and tons of knowledge was passed into our hands and minds. Lavishly live travel out loud as a family, get smiles, learn and let family adventures be enjoyable as you take in The Kennedy Space Center Experiences. Admission was provided for my family, however the story, and images are my own, based on MY experience as I lavishly live family travel out loud and share it with you . There are so many places I want to visit when i come to the states next time and the Kennedy space center is one of them. I do not yet have kids so I would like to experience it alone and then when I have kids I can tag them along. What a fun place to visit! It’s definitely good advice to plan ahead, no matter where you plan on visiting. You don’t want to make plans to go on a trip somewhere, especially if there’s traveling involved, and find out that you can’t experience everything you have been looking forward to. that’s something nice and would love to visit too. Very cool! I would love to see the Kennedy space center one day! I’ve never been there before, but it sounds like a great place to visit. I bet our kids would love to check it out as well. We have always wanted to go see it. we’re back in Florida, so we may. I would love to go to the Kennedy Space Center! I’m such a space nerd! Since moving to Florida, this is on my bucket list and I’m excited to go! What a great place to visit. My kids will have so much fun exploring the place. Hopefully you’ll get a chance to go back again and see what you missed. I went about 10 years ago and enjoyed it! That looks like so much fun!.I’d love to go. I would love to take my kids and grandkids to the Kennedy Space Center! Looks like it will be an awesome family experience! That looks a great place. Need to go there soon. I find space fascinating and sorry you didn’t get the full experience but glad it did not put you off going again! We have been wanting to take our son here! It looks like so much fun. He would love it. Jennifer Rollins recently posted..Super Bowl Snacks For The Big Day!! It sure is nice to be able to tour a space center! I bet the kids would enjoy this too. Thanks for sharing your experience! I’ve never been but I love any kind of museums. This looks exceptionally fun. Thank you for sharing your experience. I’ve never been but I love any kind of museums. This looks exceptionally fun. Thank you for sharing your experience I hope next time you get to experience more. I did this years ago, before kids, and loved it. So fun.